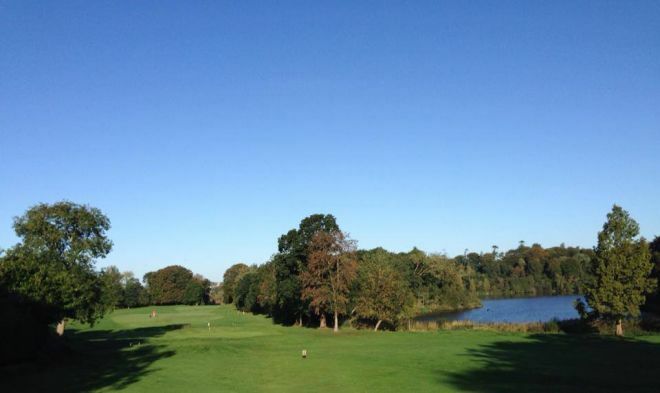 Founded in 1964 the Nuremore Golf Club was originally, 9-hole Parkland supplementing the other sports and leisure facilities at the hotel as, was common enough around the country. 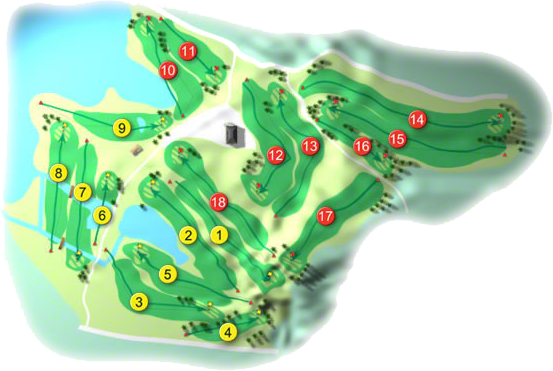 Then a massive undertaking resulted in the new 18-hole Championship course being opened in July 1991, using the skills of the late great Eddie Hackett and the most up-to-date technology and equipment. Eddie carved out of the Monaghan hillside a layout that presents a challenging test of golf for the low handicapper off the white stakes, or a testing round of golf for your average player when played off the green tees. The ladies, measures 4,690 metres with a Par 71 and a standard scratch of 70. Because of the nature of the terrain each hole has its own distinctive character with water coming into play on many of the holes. The signature hole is undoubtedly the 294 mts. 17th played from an elevated tee with spectacular views of the rolling countryside and lakes for which this part of the country is renowned. The Nuremore Hotel & Golf Course was the venue for the Irish Club Professionals' Championship in 1998 and hosted the Nuremore PGA Ulster Open from 1992 to 1994. The club has a spectacular clubhouse away from the hotel providing the golfer with his or her every comfort. A visit to Maurice Cassidy's fully stocked Pro-Shop is well worth it. This two night break will include two night’s bed & breakfast, an evening meal on one evening of your choice, plus a round of golf at our 18-hole picturesque parkland golf course. Tee times can be arranged in advance by contacting our Pro Shop on 042 9671368. Dinner will be served in either our Ivy Bar or Restaurant. During your stay unwind with complimentary access to our leisure facilities, with an 18metre swimming pool and fully equipped gym. Relax and enjoy some pampering at our Treatment Rooms. 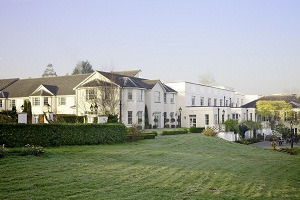 Min Stay: 2 From: €150 per person sharing. Noremore Golf Club won the Ulster Final of the Pierce Purcell Shield in 2016 when they beat Gracehill Golf Club by 4½-matchs to ½-match in the final and close neighbors Rossmore Golf Club by 3½-matches to 1½-matches in the Semi-Final. They made their way to Carton House Golf Club to compete in the All-Ireland deciders when they drew Munster Champions Nenagh Golf Club in the All-Ireland Semi-Final on Thursday 15th September. They were lead out by Jason Hughes with Padraig Brennan who lost out to Paddy Kennedy with Padraig Hackett b y 6 and 4 they were followed by Brian Busby with Peadar Hand who went 7 and 6 down to Bernard Hackett with Pat J. Hogan, next up were Andrew Capaldi with Noel McNally against Mel Gleeson with John Hogan who lost out by 6 and 5 and with it a chance to win their first Green Pennant, in the penultimate match Cormac Lane with Pat Sheridan was halved against Thomas Slattery with Jim Gleeson as was the bottom match of Stephen Quigley with Gerry Eakin against David Hickey with Matthew O'Gara. Nenagh went on to win the Green Pennant when they beat Connacht Champions Castlebar by a similar margin. Nuremore Golf Club won the Ulster Final of the Pierce Purcell Shield in 2015 when they beat Warrenpoint Golf Club in the decider. They made their was to Carton House to compete in the All-Ireland Finals on 17th September, where they were drawn against Connacht Champions Gort Golf Club in the All-Ireland Semi-Final. They were lead out by Shane Cassidy with Noel McNally who lost out to Pat Curtis with Michael O'Dell by 4 and, next up were James McGeown with Jason Hughes against Gerard Connors with David O'Dell who beat them by 4 and 2, they were followed by Seamus Finnegan with Ken Murray who halved their match against Brendan McHugh with Matthew O'Halloran, in the penultimate match Cormac Lane with Brain Busby also recorded a halve against David Daly with Michael Ryan, in the bottom match Stephen Quigley with Pat Sheridan lost out to John Moylan with John Tierney by 4 and 3. They were Captained by Cormac Lane. Nuremore Golf Club won the Ulster Final of the Pierce Purcell Shield in 1998.